Photographed in my garden (Briston, north Norfolk) this afternoon. This large butterfly was sheltering from the rain on my Fennel foliage and seemed to spread it’s wings out especially for the photograph! 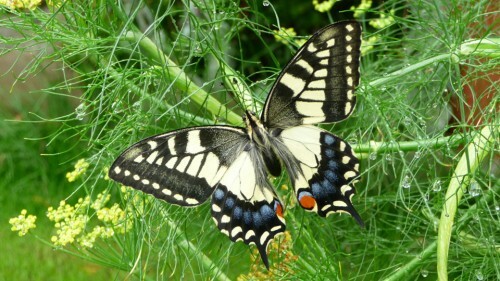 Norfolk is well known for this quite rare butterfly.